The Women’s Reproductive Health Research Program is committed to providing opportunities for students and young investigators to work within this exciting scientific and medical environment and develop their careers in reproductive medicine. We've been highly successful in this regard, with multiple research projects of the program being presented at international meetings and published in peer-reviewed journals by its integrated teams of senior scientists, clinicians and students. Whitcome Summer Undergraduate Research Fellowship Award. 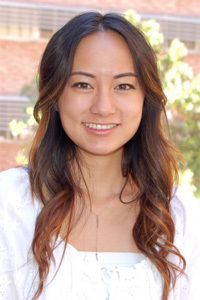 Fellowship grant to a UCLA student in the psychobiology major conducting biomedical research over the summer. This grant includes publications and presentations. Summer Fellowship Research Grant through the UCLA Medical School Short-Term Training Program (STTP). This grant includes publications and presentations. Julia Phan has received a 2015 Travel Award from the Women’s Reproductive Research Program to travel to the 71st Annual Meeting of the American Society for Reproductive Medicine, Baltimore, October 17-21. Her abstract is entitled, “Abnormal Expression Of Genes Governing Adipogenesis And Extracellular Matrix (ECM) Formation In Subcutaneous Abdominal Adipose Stem Cells (SC-ASCs) Of Lean Polycystic Ovary Syndrome (PCOS) Women”. 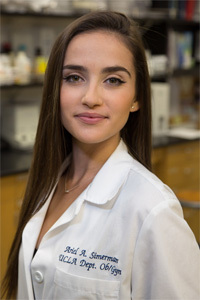 Annie Guedikian also has received a 2015 Travel Award from the Women’s Reproductive Research Program to travel to the 71st Annual Meeting of the American Society for Reproductive Medicine, Baltimore, October 17-21. Her abstract is entitled, “Resistance Of Cumulus Cell (CC) Mitochondria To Stress In Vitro As A Predictor Of Oocyte Competence During Ovarian Stimulation For In Vitro Fertilization (IVF)”. 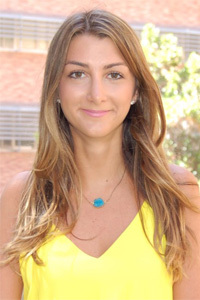 Ariela Simerman is the first student to receive a Scholarship Award from our Women’s Reproductive Health Research Program (WRHRP). Her research project examines cumulus cell lipid content as a predictor of clinical pregnancy outcome by in vitro fertilization. 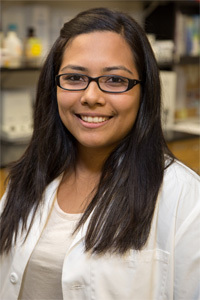 Vanessa Madrigal received an Outstanding Achievement Award from the Women’s Reproductive Health Research Program. Her work in quantifying fat cell morphology by various microscopic techniques has significantly contributed to our understanding of adipocyte differentiation in humans and in various animal models.